As the Miami-Dade Parks, Recreation and Open Spaces Department marks its 31st year hosting the coveted In the Company of Women Awards, 15 inspiring women leaders have been selected to join the ranks of distinguished group of awardees. Presented in partnership with the Miami-Dade Commission for Women and the Parks Foundation of Miami-Dade, the In the Company of Women honors women who have excelled professionally and civically, and have contributed to women’s progress, through their leadership and vision. Notable alumnae include famous faces from a variety of fields, including salsa legend Celia Cruz; US Congresswomen Ileana Ros-Lehtinen, Frederica Wilson, and Debbie Wasserman Schultz; philanthropist Adrienne Arsht; and Grammy award-wining recording artist Gloria Estefan, among others. The awards ceremony dinner, scheduled for March 7, 2019, at the luxurious Coral Gables Country Club, 990 Alhambra Circle, in Coral Gables, FL, commemorates March’s Women’s History Month and International Women’s Day. The event begins with a reception, followed by a sit-down dinner and awards presentation. This year’s festivities will be extra special, as the event is spotlighted as a signature celebration for the Parks Department’s 90th anniversary! For details about tickets, sponsorship opportunities, and more, visit the In the Company of Women web page. Barbara Falsey, Ph.D., retired Miami-Dade Parks Department Division Chief and Planner; author, editor and architecture critic. Ana Veiga Milton, Esq., President, Jose Milton Foundation. Colleen Stovall, Founder and Producing Artistic Director, Florida Shakespeare Theater. Janet Kyle Altman, Marketing Principal, Kaufman Rossin. Sabrina Cohen, Founder-President, Sabrina Cohen Foundation. Ora L. Strickland, Ph.D., MSN, RN, FAAN, Dean, FIU College of Nursing & Health and Sciences. Honorable Ana Maria Rodriguez, Florida State House of Representatives, District 105. Delma K. Noel-Pratt, Chief, City of Miami Gardens Police Department. Susan R. Windmiller, Government Affairs Analyst, Miami-Dade Police Department. Rochelle A. Baer, M.S.W., L.C.S.W., Director of Leadership Training Initiatives, Mailman Center for Child Development, UM Miller School of Medicine. Ranu Jung, Ph.D., Wallace H. Coulter Eminent Scholar Chair in Biomedical Engineering, Florida International University College of Engineering and Computing. Tatjana Rundek, MD Ph.D., Scientific Director of the Evelyn F. McKnight Brain Institute and Evelyn F. McKnight Chair for Learning and Memory in Aging at the UM Miller School of Medicine. Isabella Rojas, Founder of Doña Pan (women’s cycling group) and Purchasing Manager for No Boundaries Sport, Coral Gables. 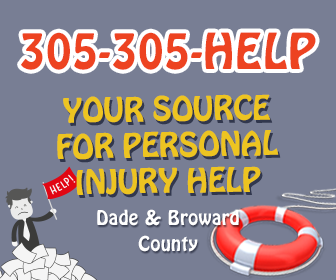 Maxeme Tuchman, CEO & Co-Founder of Caribu Inc.
est materials in accessible format, sign language interpreters and/or any accommodations to participate in any Miami-Dade Parks-sponsored program or meeting, contact Mary Palacios, 305-755-7848, [email protected], at least 7 days in advance to initiate your request. TTY users may also call 711 (Florida Relay Service).